When Grace Yin married Dr Lim Boon Keng in 1908 and moved from Amoy, China, to Singapore, she brought to the Colony an independence and activism that was then rarely seen among women. In the early years of the 20th century, women in Singapore were still largely confined to the home and expected simply to be daughters, wives and mothers. Grace, just 24 years old when she married the much older Dr Lim, was a confident young woman who, after graduating from the Foochow Conference Seminary in 1904, started a co-educational school in Gulangyu (now known as Xiamen) in China. As a child Grace excelled at embroidery and, aged just nine, she showed her entrepreneurial flair by selling her needlework. Born in 1884 in Amoy, China, Grace was the youngest of seven children. Her parents were reformists, campaigning for girls to be educated and for an end to the slave trade and the ancient practice of feet-binding by Chinese women. Dr Lim too was a reformist, a brilliant man who in 1887 was Singapore’s first Queen’s Scholar. When he was just 26 years old, Dr Lim was appointed one of two Chinese members of Singapore’s Legislative Council. He led the way in many reforms, such as getting Chinese men in Singapore to cut their queues years before this happened in China. He firmly believed that girls should be educated, and was a co-founder of the Singapore Chinese Girls’ School. Dr Lim’s first wife had died in 1905. When Grace visited Singapore in 1908 to see her brother, Dr S C Yin, who was Dr Lim’s partner in his medical practice, he introduced her to Dr Lim. It was clear that they were a good match. When Grace and Dr Lim married, it was the coming together of two accomplished and forward-looking individuals. Grace settled easily into Singapore society and got to know the women who would, in 1915, found the Chinese Ladies’ Association (CLA). Grace was the association’s first treasurer and was a key mover of many of their activities, organising bazaars and other fund-raising efforts for various charitable causes. For example, in 1917, the association, which conducted classes for its members in, amongst other things, embroidery, held a sale of needlework to raise money for the St Andrews Mission Hospital in Singapore and a Home for Aged Widows in Amoy. When Dr Lim was made president of the new Amoy University in China in 1921, the Lims moved to Amoy where Grace started a Po Leung Kuk (Society for the Protection of Women and Children). Her absence from Singapore led to a noticeable drop in the activities of the CLA. On her return to Singapore for a few months in 1927, the activities picked up. For example, she arranged for the Vegetarian Society to sell meals once a week at the Great World Amusement Park to raise money for the Shantung Relief Fund. The Lims returned to Singapore in 1937 when the Sino-Japanese war broke out. Grace helped to organise many donation drives for the China Relief Fund, which her husband headed. When Singapore fell to the Japanese in 1942, Grace was detained and tortured by the Japanese because of her work for the China Relief Fund. She was forced to kneel under the scorching sun for many hours at a time. This was to pressurise Dr Lim to agree to head the Overseas Chinese Association to act as a bridge between the Japanese occupiers and the Chinese community in Malaya, and to raise funds for the Japanese war effort. Grace survived the hardships of the war and the Japanese Occupation. 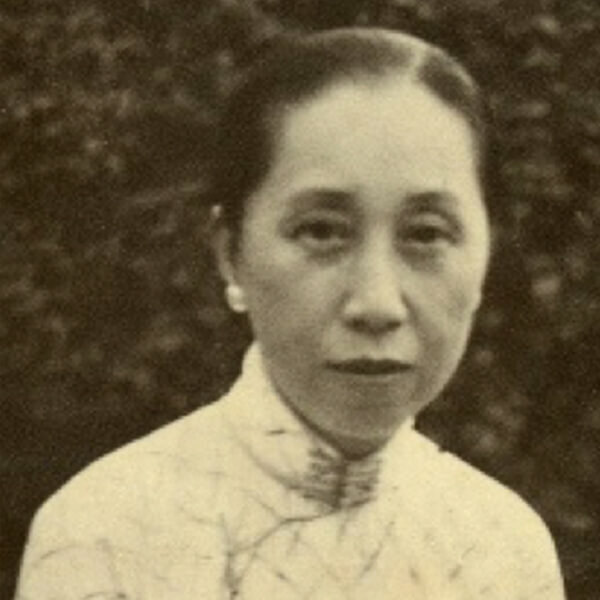 She was president of the Chinese Ladies Association before the war, and in 1947 she led the effort to revive the association and resume its community work. In 1948 she was made a Justice of the Peace. She died in 1972, aged 88, from a stroke.